Picky eaters can be tremendously hard work for a parent. Trust me, I know. I've spent 12+ years watching my son Cedar, aka the ultimate picky eater, not eat. When he was young I watched him break down with tears or anger meal after meal, at times putting his head down on the table as if overwhelmed by new foods. As he got older, he quit breaking down but I've still had to deal with lagging through meals, rolling eyes, complaining and everything in between. I've had to sit there astounded as my son declines food that I've watched even the most picky kids gobble up. Foods like cereal and milk, PB&Js, mac n cheese and even pizza. Adding insult to injury, it always seems like other parents have kids who will try anything, making me feel like my kid is the only picky eater on the planet. Of course he's not. Plenty of parents deal with picky eaters day in and day out, some dealing with it better than others. After years of picky kid eater experience, I've learned a trick or two about what works and what fails when trying to get picky kids to eat, but it took plenty of trial and error. If you've got a picky eater, keep reading and maybe some of my tips can help you before your kid hits the double digits. There is a huge difference between picky eaters and kids who are just going through a short independent, fussy or tricky stage. 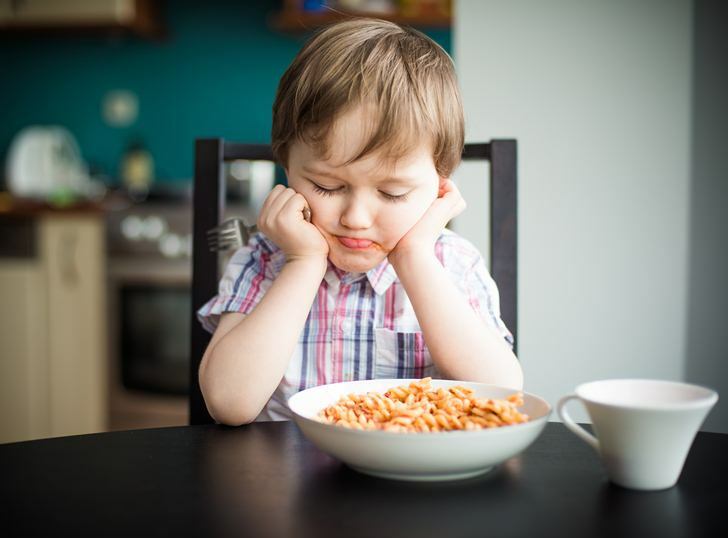 It’s common for kids to go through a picky eater stage during the toddler years in order to assert their independence, to test your limits, or because some foods are still difficult for them to chew. A toddler may want the same few foods for weeks on end or want just snacks vs. meals. This is NORMAL toddler behavior. Usually, toddlers leave these behaviors behind and settle into a food routine. A real, long-term picky eater is very different and will continue to be very reluctant to try new food long after the toddler years are over. They may whine through meals, cry, gag on food or simply flat out refuse to eat. These kids may have a harder time finding equilibrium diet-wise and their behavior can be exasperating for parents. Some of these kids may be experiencing food neophobia, a real issue where people are extremely reluctant to try new foods. Some kids have sensory disorders that make eating less enjoyable. Some individuals are picky for life and their food habits can even affect their social and professional relationships which are trademark of a true health disorder. Researchers aren’t sure what drives the most picky eaters among us to be so picky, but they estimate that textures and smell play a large part. Now, before you race your child off to a therapist for a “picky eating disorder” diagnosis, consider that research shows that long-term picky eaters are often picky because their parents are picky. In fact, I’m fairly sure this is why my son is picky. Another reason why many picky eaters stay picky, or get worse is because parents use parenting techniques that simply don’t work. For example, although research shows that kids may have to try a new food dozens of times before they like it, most parents give up on serving new foods after only a few times. Other parents take the easy way out, serving up fast food, junk food or chicken nuggets, because they’ll argue, “That’s the only thing my kid will eat.” Before you panic, know that true picky eater disorders are rare and your kid most likely doesn’t have one. As the parent of a picky eater, you’ll need to brush up on some basic dos and don’ts. Honestly, these are issues all parents should be on top of, but parents of picky eaters really need to know their stuff. DO understand proper child nutrition: With picky eaters, you need to be 100% on your game when it comes to nutrition and the foods you keep in the house. This way, when your kid does decide to eat, he gets the most useful and nutritious calories possible. Make calories count by offering a good mix of mostly nutritious foods along with occasional treat-minded foods. If you’re not sure what constitutes proper child nutrition, talk to your child’s pediatrician. DON’T label food: At our house we don’t divide food into “good” and “bad” food groups, such as peas are a “good” food and ice cream is a “bad” food. When you put food into good and bad context groups it encourages habits such as sneaking bad foods or thinking of good foods as icky and boring. DO discuss nutrition issues with kids: Just because we don’t label foods, doesn’t mean we avoid talks about nutrition. 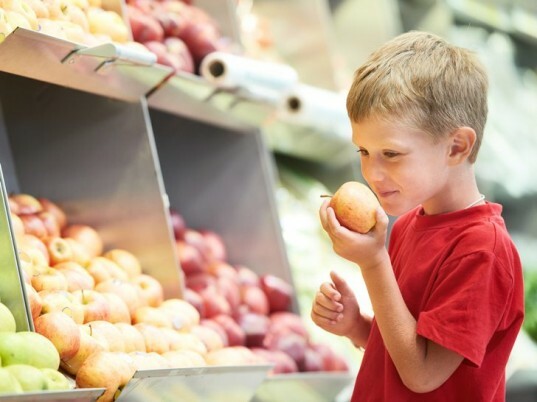 Your child needs to know that there are “healthier” food choices and “less healthy” choices. From toddler-hood onward, I discussed nutrition in terms my son could understand, such as, “It’s smart to eat whole grains and veggies but a treat won’t harm you.” As he grew older, we discussed more complicated food issues like limiting salt and not piling on high-calorie toppings, but again, I always remind him that variety is A-ok. When my son does eat, even though he’s picky, he almost always chooses “healthier” foods over “less healthy” foods, and I think it’s because he’s allowed both options and because we discuss food and calories in an open and non-threatening manner. DON’T label your kids: You shouldn’t label food and you also should never label a picky eater as bad or a decent eater as good. Kids are all different sure, but they shouldn’t be labeled. Picky eaters already have issues surrounding food, so punishing them by labeling them only makes food an even bigger enemy. DO upgrade your cooking skills: Often kids don’t eat simply because food tastes bad. Case in point, I had a friend who professed to hate green beans. One night I served up fresh green beans, lightly steamed, and said bean hater inhaled them. Afterwards, when I asked him why he ate them, he said his mom always served canned, over-cooked beans with lots of greasy butter and salt and he hated them. You don’t have to be Martha Stewart, but updating your cooking skills and serving the freshest foods possible may increase the odds your child will eat. I’ve tried about a billion picky eater tactics over the years and I’ve found that some almost always work, some work often and some are super hit or miss. On this and the following two pages we’ll look at these different tactics, starting with the ones that work well. Keep in mind that what works best for one picky eater, is not the same for all picky eaters though. You’ll have to mix and match techniques until you hit on a successful collection of practices. Patience: When dealing with picky eaters, patience is a virtue. Dr. Alan Greene notes that it can take anywhere from 6 to 89 tries before a child will learn to like a food. 89 tries! Still, he’s not wrong. Patience has gotten my son over some major food hurdles. Three foods that come to mind are macaroni and cheese, Alfredo pasta sauce and veggie pot pie. My son used to “hate” all of these foods. I’d serve them, he’d turn up his nose. I kept serving these foods to him in small amounts over the years, while not saying anything or forcing him to eat them. He worked up to these foods, at first refusing, then taking a small nibble, and later a bite or two. It took FOREVER but now I’ve got a kid who will eat a decent serving of mac n cheese, likes vegan Alfredo sauce and will even eat a whole 1/4 of a mini homemade veggie pot pie. Patience won’t work for every food. I’ve served my son baked yams about 80 zillion times and no way will he eat them, but I keep on trying, and luckily, it does work for some foods. Go frozen: I’ve seen the most picky eaters ever eat foods in ice pop form that they’d never dream of eating normally — such as new fruits, grains, veggies and yogurt. My son hates yams, as I mentioned above, but he’ll eat sweet potato ice pops. Ice pops aren’t a big tool I use to get my son to eat, because he likes most fruits and veggies. However, my friend’s kids were not served produce often as kids, and by the time their parents got on board with healthier eating, these kids were already extremely picky about vegetables and fruit. They will however eat ice pops packed with veggies and fruits. I’ve also seen kids who are picky about vegetables eat frozen veggies straight from the freezer bag when they won’t eat them cooked. There’s something about freezing foods that appeals to kids. See homemade popsicle ideas here. On the side: On the side is very popular with picky eaters. Serve up Alfredo pasta with the sauce on the side. Serve stir-fry with the veggies, rice and sauce in different piles not mixed all together. On the side gets more food into your kid, because once foods get mixed up with a food your child professes to hate (like stir-fry sauce) he’ll also avoid the veggies and rice. I don’t cook separate meals for my son, but I will serve up his plate before mixing items for the rest of the family who say, don’t mind their stir fry ingredients combined. Nibble trays: It goes without saying that you should serve picky eaters elf-sized portions unless you love wasting food, but making food extra cute and small can really help. Serving up an ice cube tray of various healthy foods in the different compartments often results in my kid eating at least half of the food. Make older kids cook some meals: This tactic works really well for picky eaters. We’ve got three kids over the age of 12 at my house. Two of them are very picky eaters and the other one is semi-picky. They used to complain more often about the food until I got sick of it one night and said, “FINE, I’m out. You three cook.” Now I make them plan meals, shop for the food, and cook on their own. The adults don’t help at all other than driving them to the grocery store – any kid who can read, can cook. Making kids cook once or twice a week may not get your kids to eat more foods, but it will help chill picky kids out a lot. When made to cook on their own, kids see how much time it takes, how much thought is needed to prepare a meal and they want praise not complaints about the food they make. Cooking for the household offers your child a new perspective on what it means to be the chef trying to please everyone. Smoothies and juice: Smoothies and freshly made whole fruit and veggie juices are a great way to get food into some picky kids, but not all picky people like them. I’m picky and I’m also not a fan of smoothies, but luckily my son likes them. I make my son’s smoothies with veggies, fruits and even grains. The one bite rule: I’ve tried to instigate a one bite rule for everyone at the table – meaning you have to try one small bite, but no more and no questions asked. However, this doesn’t always work. I’d say it’s a half-useful tactic. Limit snacks before meals: Try to limit snacks for at least one hour before meals. I’ve noticed that picky eaters tend to try more foods when they’re seriously hungry. This works sometimes, but don’t underestimate your picky child’s ability to be hungry and yet still not eat. Eat at the table as a family: When done right, this is a great picky eater tactic. Having a fun mealtime that’s about being together vs. the food can really encourage a picky eater to let down their guard and eat. At my house we chat, play word games and do other fun stuff at meals, and my son often forgets he “Hates” food. However, if a picky kid is in a bad mood and parents let them rule the table, eating together just gets stressful. Eat as a family, but do not allow a picky eater to stay at the table if they’re making everyone else miserable. Cook with kids: Letting younger kids help you cook sometimes will encourage them to try more foods. Not always though. Plus, some kids find cooking a bore. See if this tactic works, but use it as a way to spend time with your child, not as a foolproof solution for your picky eater. “Kid friendly” foods: Kid-friendly foods, such as cutely packaged granola bars and frozen kid meals appeal to my son. Appeal is a far cry from eating though. Just because kid food is marketed to kids, won’t ensure a picky eater will eat it. My son only likes the idea of fun kid food, but usually doesn’t like the taste. On top of that, kid-minded food costs more. Try out kid-friendly foods if you must, but know that it’s not as useful as serving foods you can all eat as a family. Grocery shop together: One of the most popular tips in parenting books is, “Shopping together solves picky eating struggles.” Shopping together is useful, teaching food and money skills, but I wouldn’t say it’s solved our picky eater issues. My son will pick out food sure, but choosing food doesn’t magically mean he’ll eat it. Give this tip a whirl, but don’t be overly excited about it, as it works sometimes but not always. Dips and toppings: Dips and toppings don’t work for my child, because he’s even picky about toppings. However, I’ve seen some picky eaters who do eat more food if said food is served with a dip. That said, there are two major downsides to dips and toppings. One is that kids who are always served foods with dips won’t know what real food tastes like and won’t get the chance to know if they like the taste. Secondly, most kid-friendly dips like tarter sauce or sour cream contain way more calories than kids need. Aim for healthy dips like organic ketchup or dips made with low-fat yogurt. Make food fun: I’m not the kind of mom who makes little clown pancakes or celery boats often, but I know that creative fun food does work for some parents of picky eaters. The downside of this technique is that kids may start to think all food should be fun, and that’s just not the case. Sometimes food is simply about nutrition and hunger. Garden together: Some kids, even picky kids will eat food they get to grown themselves. I’ve seen this work once in a while, but not for all kids. The absolute worst thing about having a picky eater is how they try your patience. Picky kids can make you angry, upset, hurt your feelings and even create a weird dynamic between you and your partner who may disagree about how to manage picky kids. Stand together: The first rule of raising a picky eater with a partner is to be on the same page. If you ignore picky eating and your partner gets angry and punishes the picky eater, your child will only become confused. I know it’s tough. But seriously when you become a parent you have some 18,000 meals ahead of you to deal with before your kid moves out, so it’s wise to have a long talk with your partner and try to find some common ground. It’s not you, it’s them: Don’t allow your child to hurt your feelings simply because they won’t eat the food you cook. It’s not about you. It’s about the food. In fact, at this point, I rarely try to cook specifically with my son in mind. That may sound mean, but he’s just too volatile about food, and frankly, it’s not worth it. I cook for my friends, my partner and my son’s friends, because I know they’ll appreciate it. Don’t try to please an overly picky eater because you’ll just end up feeling like you wasted your time. Compromise but don’t cater: At my house, kids and adults are served the same meals. I’m not cooking twice, because last I checked, I’m not a paid caterer. What I will do is compromise within reason. For example, I’m fine leaving seasoning off my son’s veggies or serving him up pasta without sauce. But, there are limits. I won’t cook my son soup if everyone else is having burritos. He can just have a plain old tortilla with cheese if he doesn’t want the beans and rice. Cooking separate meals for everyone at your house is time consuming and doesn’t set a good example for your kids. Never allow mealtime madness: I learned this late, but better late than never. When one person is complaining, rolling their eyes or causing a scene at the table, it ruins everyone’s meal. That’s not fair to your family. Never, ever let your picky eater rule the table. Send them to their room so everyone else can enjoy each other’s company in peace. Repeat after me – “It’s just food”: Food can seem like a big deal, but in the grand scheme of things, it’s really not. I’ve never seen a picky eater starve to death. The world won’t collapse if you enjoy your meal and your kid doesn’t. I can think of a million worse things my kid could be besides picky. When you’re frustrated, try to think about all the awesome stuff your kid does. When I’m hyper sick of the finickiness, I remind myself that my son is extremely kind and polite to everyone he meets. He doesn’t fight and he’s never hit or bitten other kids, even as a toddler. He’s funny, creative, active and loves to go on long hikes with me when no one else will. We have a lot of fun. Food is part of our world and picky eating is a major trial, but picky is not all my son is. Don’t give up: Picky kids are a challenge, no doubt, but if you keep on trying different tactics, you’ll find that some actually work. Always keep serving new foods and also try some of the other techniques above. Using the tactics above, my son is now a kid who will eat at least 40% of what I serve and quite often even cleans his plate. If you stick with it, picky eating struggles can become less tiresome over time. There is a huge difference between picky eaters and kids who are just going through a short independent, fussy or tricky stage. 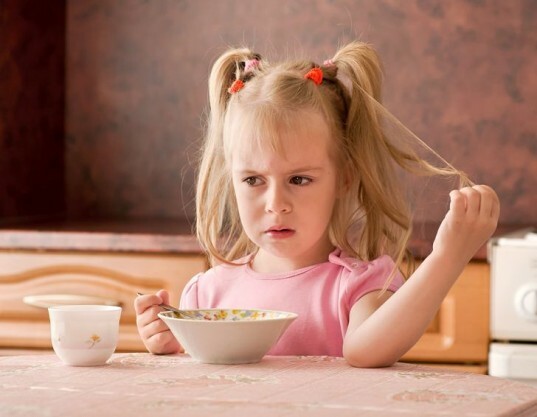 It's common for kids to go through a picky eater stage during the toddler years in order to assert their independence, to test your limits, or because some foods are still difficult for them to chew. A toddler may want the same few foods for weeks on end or want just snacks vs. meals. This is NORMAL toddler behavior. Usually, toddlers leave these behaviors behind and settle into a food routine. A real, long-term picky eater is very different and will continue to be very reluctant to try new food long after the toddler years are over. They may whine through meals, cry, gag on food or simply flat out refuse to eat. These kids may have a harder time finding equilibrium diet-wise and their behavior can be exasperating for parents. Some of these kids may be experiencing food neophobia, a real issue where people are extremely reluctant to try new foods. Some kids have sensory disorders that make eating less enjoyable. Some individuals are picky for life and their food habits can even affect their social and professional relationships which are trademark of a true health disorder. Researchers aren't sure what drives the most picky eaters among us to be so picky, but they estimate that textures and smell play a large part. Now, before you race your child off to a therapist for a "picky eating disorder" diagnosis, consider that research shows that long-term picky eaters are often picky because their parents are picky. In fact, I'm fairly sure this is why my son is picky. Another reason why many picky eaters stay picky, or get worse is because parents use parenting techniques that simply don't work. For example, although research shows that kids may have to try a new food dozens of times before they like it, most parents give up on serving new foods after only a few times. Other parents take the easy way out, serving up fast food, junk food or chicken nuggets, because they'll argue, "That's the only thing my kid will eat." Before you panic, know that true picky eater disorders are rare and your kid most likely doesn't have one. As the parent of a picky eater, you'll need to brush up on some basic dos and don'ts. Honestly, these are issues all parents should be on top of, but parents of picky eaters really need to know their stuff. DO understand proper child nutrition: With picky eaters, you need to be 100% on your game when it comes to nutrition and the foods you keep in the house. This way, when your kid does decide to eat, he gets the most useful and nutritious calories possible. Make calories count by offering a good mix of mostly nutritious foods along with occasional treat-minded foods. If you're not sure what constitutes proper child nutrition, talk to your child's pediatrician. DON'T label food: At our house we don't divide food into "good" and "bad" food groups, such as peas are a “good” food and ice cream is a “bad” food. When you put food into good and bad context groups it encourages habits such as sneaking bad foods or thinking of good foods as icky and boring. DO discuss nutrition issues with kids: Just because we don't label foods, doesn't mean we avoid talks about nutrition. Your child needs to know that there are "healthier" food choices and "less healthy" choices. From toddler-hood onward, I discussed nutrition in terms my son could understand, such as, "It's smart to eat whole grains and veggies but a treat won't harm you." As he grew older, we discussed more complicated food issues like limiting salt and not piling on high-calorie toppings, but again, I always remind him that variety is A-ok. When my son does eat, even though he's picky, he almost always chooses "healthier" foods over "less healthy" foods, and I think it's because he's allowed both options and because we discuss food and calories in an open and non-threatening manner. DON'T label your kids: You shouldn't label food and you also should never label a picky eater as bad or a decent eater as good. Kids are all different sure, but they shouldn't be labeled. Picky eaters already have issues surrounding food, so punishing them by labeling them only makes food an even bigger enemy. DO upgrade your cooking skills: Often kids don't eat simply because food tastes bad. Case in point, I had a friend who professed to hate green beans. One night I served up fresh green beans, lightly steamed, and said bean hater inhaled them. Afterwards, when I asked him why he ate them, he said his mom always served canned, over-cooked beans with lots of greasy butter and salt and he hated them. You don't have to be Martha Stewart, but updating your cooking skills and serving the freshest foods possible may increase the odds your child will eat. I've tried about a billion picky eater tactics over the years and I've found that some almost always work, some work often and some are super hit or miss. On this and the following two pages we'll look at these different tactics, starting with the ones that work well. Keep in mind that what works best for one picky eater, is not the same for all picky eaters though. You'll have to mix and match techniques until you hit on a successful collection of practices. Patience: When dealing with picky eaters, patience is a virtue. Dr. Alan Greene notes that it can take anywhere from 6 to 89 tries before a child will learn to like a food. 89 tries! Still, he's not wrong. Patience has gotten my son over some major food hurdles. Three foods that come to mind are macaroni and cheese, Alfredo pasta sauce and veggie pot pie. My son used to "hate" all of these foods. I'd serve them, he'd turn up his nose. I kept serving these foods to him in small amounts over the years, while not saying anything or forcing him to eat them. He worked up to these foods, at first refusing, then taking a small nibble, and later a bite or two. It took FOREVER but now I've got a kid who will eat a decent serving of mac n cheese, likes vegan Alfredo sauce and will even eat a whole 1/4 of a mini homemade veggie pot pie. Patience won't work for every food. I've served my son baked yams about 80 zillion times and no way will he eat them, but I keep on trying, and luckily, it does work for some foods. Go frozen: I've seen the most picky eaters ever eat foods in ice pop form that they'd never dream of eating normally -- such as new fruits, grains, veggies and yogurt. My son hates yams, as I mentioned above, but he'll eat sweet potato ice pops. Ice pops aren't a big tool I use to get my son to eat, because he likes most fruits and veggies. However, my friend's kids were not served produce often as kids, and by the time their parents got on board with healthier eating, these kids were already extremely picky about vegetables and fruit. They will however eat ice pops packed with veggies and fruits. I've also seen kids who are picky about vegetables eat frozen veggies straight from the freezer bag when they won't eat them cooked. There's something about freezing foods that appeals to kids. 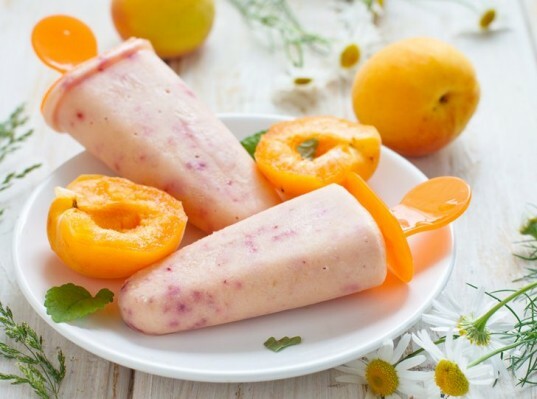 See homemade popsicle ideas here. On the side: On the side is very popular with picky eaters. Serve up Alfredo pasta with the sauce on the side. Serve stir-fry with the veggies, rice and sauce in different piles not mixed all together. On the side gets more food into your kid, because once foods get mixed up with a food your child professes to hate (like stir-fry sauce) he'll also avoid the veggies and rice. I don't cook separate meals for my son, but I will serve up his plate before mixing items for the rest of the family who say, don't mind their stir fry ingredients combined. Make older kids cook some meals: This tactic works really well for picky eaters. We've got three kids over the age of 12 at my house. Two of them are very picky eaters and the other one is semi-picky. They used to complain more often about the food until I got sick of it one night and said, "FINE, I'm out. You three cook." Now I make them plan meals, shop for the food, and cook on their own. The adults don't help at all other than driving them to the grocery store - any kid who can read, can cook. Making kids cook once or twice a week may not get your kids to eat more foods, but it will help chill picky kids out a lot. When made to cook on their own, kids see how much time it takes, how much thought is needed to prepare a meal and they want praise not complaints about the food they make. Cooking for the household offers your child a new perspective on what it means to be the chef trying to please everyone. 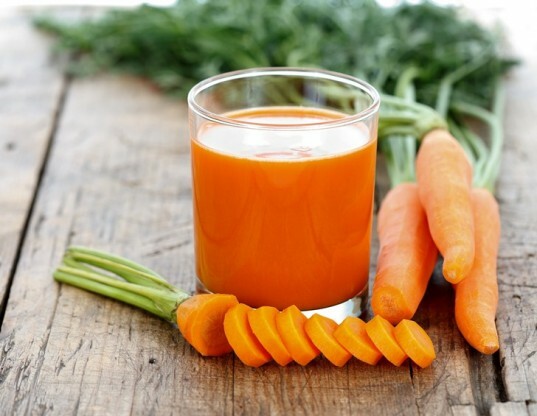 Smoothies and juice: Smoothies and freshly made whole fruit and veggie juices are a great way to get food into some picky kids, but not all picky people like them. I'm picky and I'm also not a fan of smoothies, but luckily my son likes them. I make my son's smoothies with veggies, fruits and even grains. The one bite rule: I've tried to instigate a one bite rule for everyone at the table - meaning you have to try one small bite, but no more and no questions asked. However, this doesn't always work. I'd say it's a half-useful tactic. Limit snacks before meals: Try to limit snacks for at least one hour before meals. 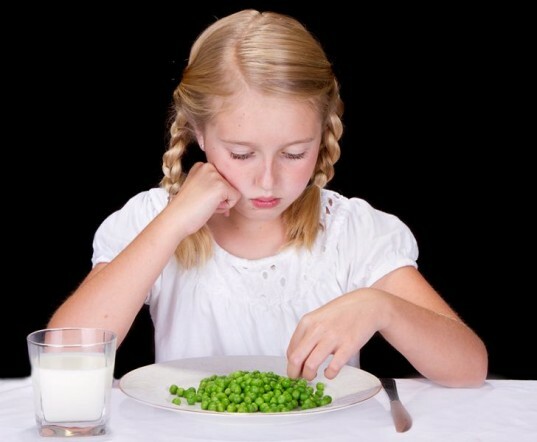 I've noticed that picky eaters tend to try more foods when they're seriously hungry. This works sometimes, but don't underestimate your picky child's ability to be hungry and yet still not eat. Eat at the table as a family: When done right, this is a great picky eater tactic. Having a fun mealtime that's about being together vs. the food can really encourage a picky eater to let down their guard and eat. At my house we chat, play word games and do other fun stuff at meals, and my son often forgets he "Hates" food. However, if a picky kid is in a bad mood and parents let them rule the table, eating together just gets stressful. Eat as a family, but do not allow a picky eater to stay at the table if they're making everyone else miserable. "Kid friendly" foods: Kid-friendly foods, such as cutely packaged granola bars and frozen kid meals appeal to my son. Appeal is a far cry from eating though. Just because kid food is marketed to kids, won't ensure a picky eater will eat it. My son only likes the idea of fun kid food, but usually doesn't like the taste. On top of that, kid-minded food costs more. Try out kid-friendly foods if you must, but know that it's not as useful as serving foods you can all eat as a family. Grocery shop together: One of the most popular tips in parenting books is, "Shopping together solves picky eating struggles." Shopping together is useful, teaching food and money skills, but I wouldn't say it's solved our picky eater issues. My son will pick out food sure, but choosing food doesn't magically mean he'll eat it. Give this tip a whirl, but don't be overly excited about it, as it works sometimes but not always. Dips and toppings: Dips and toppings don't work for my child, because he's even picky about toppings. However, I've seen some picky eaters who do eat more food if said food is served with a dip. That said, there are two major downsides to dips and toppings. One is that kids who are always served foods with dips won't know what real food tastes like and won't get the chance to know if they like the taste. Secondly, most kid-friendly dips like tarter sauce or sour cream contain way more calories than kids need. Aim for healthy dips like organic ketchup or dips made with low-fat yogurt. Make food fun: I'm not the kind of mom who makes little clown pancakes or celery boats often, but I know that creative fun food does work for some parents of picky eaters. The downside of this technique is that kids may start to think all food should be fun, and that's just not the case. Sometimes food is simply about nutrition and hunger. Garden together: Some kids, even picky kids will eat food they get to grown themselves. I've seen this work once in a while, but not for all kids. Stand together: The first rule of raising a picky eater with a partner is to be on the same page. If you ignore picky eating and your partner gets angry and punishes the picky eater, your child will only become confused. I know it's tough. But seriously when you become a parent you have some 18,000 meals ahead of you to deal with before your kid moves out, so it's wise to have a long talk with your partner and try to find some common ground. It's not you, it's them: Don't allow your child to hurt your feelings simply because they won't eat the food you cook. It's not about you. It's about the food. In fact, at this point, I rarely try to cook specifically with my son in mind. That may sound mean, but he's just too volatile about food, and frankly, it's not worth it. I cook for my friends, my partner and my son's friends, because I know they'll appreciate it. Don't try to please an overly picky eater because you'll just end up feeling like you wasted your time. Compromise but don't cater: At my house, kids and adults are served the same meals. I'm not cooking twice, because last I checked, I'm not a paid caterer. What I will do is compromise within reason. For example, I'm fine leaving seasoning off my son's veggies or serving him up pasta without sauce. But, there are limits. I won't cook my son soup if everyone else is having burritos. He can just have a plain old tortilla with cheese if he doesn't want the beans and rice. Cooking separate meals for everyone at your house is time consuming and doesn't set a good example for your kids. Never allow mealtime madness: I learned this late, but better late than never. When one person is complaining, rolling their eyes or causing a scene at the table, it ruins everyone's meal. That's not fair to your family. Never, ever let your picky eater rule the table. Send them to their room so everyone else can enjoy each other's company in peace. Repeat after me - "It's just food": Food can seem like a big deal, but in the grand scheme of things, it's really not. I've never seen a picky eater starve to death. The world won't collapse if you enjoy your meal and your kid doesn't. I can think of a million worse things my kid could be besides picky. When you're frustrated, try to think about all the awesome stuff your kid does. When I'm hyper sick of the finickiness, I remind myself that my son is extremely kind and polite to everyone he meets. He doesn't fight and he's never hit or bitten other kids, even as a toddler. He's funny, creative, active and loves to go on long hikes with me when no one else will. We have a lot of fun. Food is part of our world and picky eating is a major trial, but picky is not all my son is. Don't give up: Picky kids are a challenge, no doubt, but if you keep on trying different tactics, you'll find that some actually work. Always keep serving new foods and also try some of the other techniques above. Using the tactics above, my son is now a kid who will eat at least 40% of what I serve and quite often even cleans his plate. If you stick with it, picky eating struggles can become less tiresome over time.